Everybody knows somebody! Business connections can result in rewards when you take advantage of our Member Referral Program. Treat that special someone to a night out or be the star of your office with a Happy Hour get-together, on us! 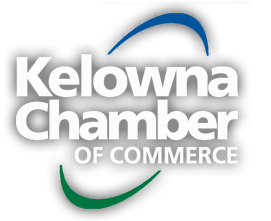 The Member Referral Program offers an incentive to members who introduce a new business to the Kelowna Chamber of Commerce. Every introduction by a member to a business that becomes a new member with us is rewarded with a $50 gift card to one of our currently-featured restaurants. Contact our Member Services Team for details or call 250-469-7352. Attract new clientele and gain exposure for your establishment by partnering with us in our Member Referral Program. The Member Referral Program offers an incentive to members who introduce a new business to the Kelowna Chamber of Commerce. Every introduction by a member to a business that becomes a new member with us is rewarded with a $50 gift card to a currently-featured restaurant. Your restaurant will be one of 3 featured during a 3 month period. Exposure via the Kelowna Chamber of Commerce website & ConneXions e-newsletter. Your logo will appear on our promotions of the Membership Referral Program on several occasions and publications during the three month feature. The Kelowna Chamber will feature your establishment in our Member Referral Program for 3 months in return for a 25% discount on the purchase of five $50 gift cards. Contact our Sales & Business Development Team for details or call 250-469-7357.